On Monday, I traveled with my colleague, Anupam Sarkar, a nutrition and newborn health expert and Project Advisor for the Maternal and Newborn Survival Initiative (MANSI), to Hudu, a small, hard-to-reach village amidst forest, steel plants, and roaming wild elephants. 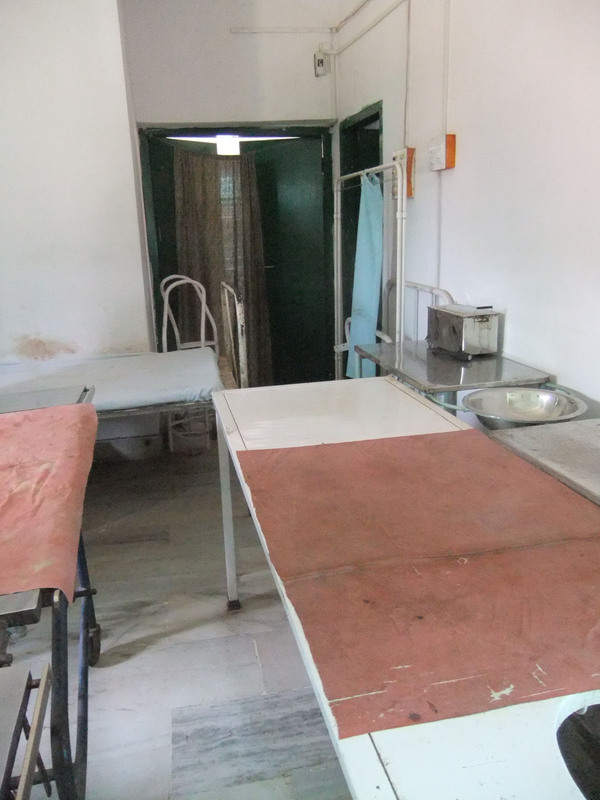 It took us nearly 2 hours from Jamshedpur, weaving around and cutting through steel plants and villages along bumpy and muddy roads–the same roads that pregnant women must travel on if they opt for institutional delivery. We were heading to Hudu to observe a Seraikela Chhau peformance. Seraikela Chhau is a traditional form of dance that originates in the Seraikela block of Jharkhand, part of the eastern steel belt of India. Over the past six months, I have been working as a Clinton Fellow with the Maternal and Newborn Survival Initiative in the Seraikela block. MANSI is a partnership between the American India Foundation, Tata Steel Rural Development Society, and the local government—with technical support from SEARCH. As part of our project activities, our team has recently coordinated a series of Seraikela Chhau performances that will combine the native dance form with key maternal and newborn health messages throughout the 174 villages of our project area. When Anupam and I arrived in Hudu, we learned that a pair of twins had recently passed away in the village and we decided to visit the family before the performance began. We are conducting similar home visits for every maternal and newborn death that has been reported in our project area (spanning 174 villages) since the baseline survey was completed in 2009. The goal of the home visits is to gain a better understanding of the ground realities and knowledge gaps so that we can shape and inform the messages of the MANSI health communication campaigns in a way that meets the needs of the communities. 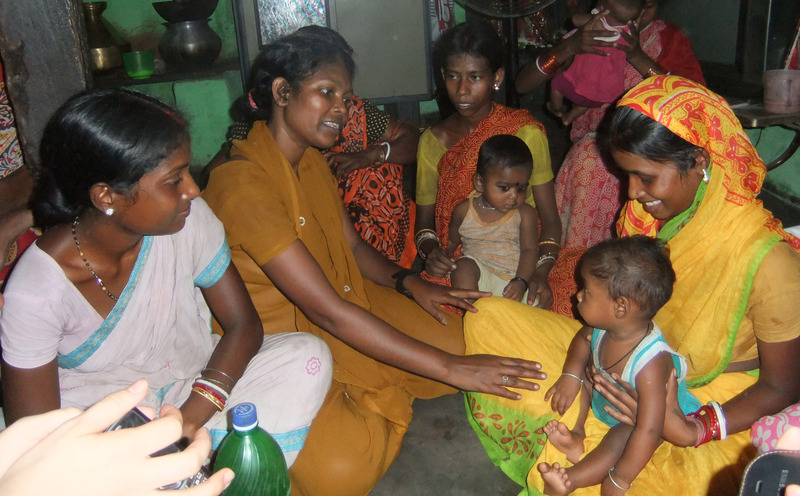 The local health worker guided us to the home where the twins had passed away. The parents were not at home–but we were able to meet with the paternal grandparents, Asha and Ganesh Sardar. The mother of the twins, Vilasi, is 28 years old. She and her husband, Ragdu, already had four children, all girls, and the family was eager to have a boy. Soon they became pregnant with twins, one girl and one boy. All four of the previous children were delivered at home without complication–and the family assumed that this delivery would also be free of complications. They explained that they were unaware of the benefits of institutional delivery. When the twins were born, they seemed very small. Immediately following delivery, the mother put the babies to her breasts to feed them. They were weak and unable to suckle. Initially the family thought about giving them goat’s milk–but eventually decided to give sugar water (locally called Misri Pani). When it became clear that the babies were extremely weak and in critical condition, the family wanted to take the infants to the hospital but they had not anticipated the emergency. They were not prepared. They did not have a transportation plan or money set aside. One baby died the very same day–and the other died the following day. It is tough to know precisely what led to the death of the twins—and if giving birth in a facility would have made a difference. But it is clear that many factors were stacked against them. 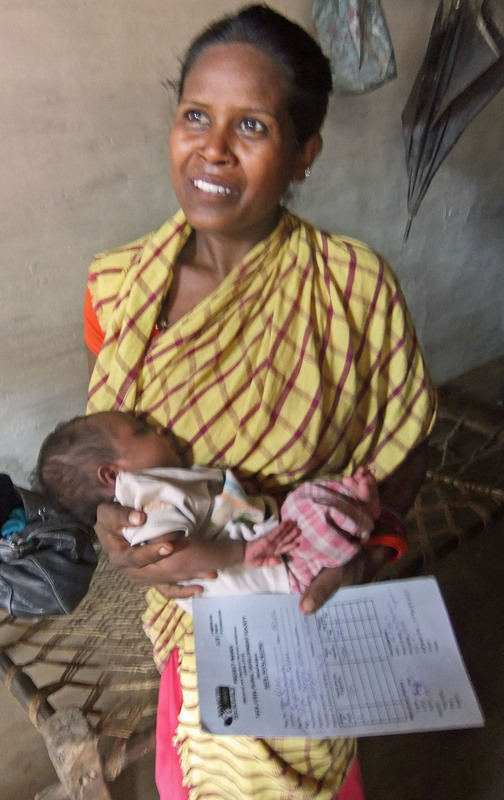 The family was faced with poor roads, long distances to health centers, limited resources, combined with a lack of information at the community level about birth spacing and planning, care of low birth weight babies, danger signs, institutional delivery, and information on how to tap into government schemes that offer cash incentives for institutional delivery—all potential topics for future Chhau performances. With the story of the twins on our minds, we returned to the center of the village to observe the performance. With no electricity in the village, the performers rigged their loud speaker system to their vehicle battery. They began beating their drums and singing loudly, calling on community members to gather in the village center. It did not take long for community members to gather, all curious to know what the commotion was about. They formed a crowd of boys and girls, and men and women of all ages. Soon the drumming and singing picked up pace, a performer dressed in a traditional colorful costume with a big mask jumped out from behind the vehicle, and the show began! The performers acted out various situations, using dance and drama to cover several critical maternal and newborn health topics—with a focus on the importance of institutional delivery, birth planning/preparedness, and the five cleans of safe delivery. The audience watched with great enthusiasm. As we traveled the bumpy roads away from Hudu, a jagged rock punctured our tire–delaying our return to Jamshedpur and reminding me of the numerous barriers that women face in accessing care. While we waited for the tire to get repaired, I thought of the twins and the grandparents who we interviewed. I also thought of the Chhau dance and all of the community members in attendance. That day, I witnessed the consequences of the various factors that were stacked against the twins. I also witnessed one strategy for building community awareness of critical maternal and newborn health information. I left feeling confident that the Chhau performance that we observed will help to equip the community of Hudu with key information about maternal and newborn health—and will serve as one of many important steps toward the overall goal of protecting the health of women and infants in the Seraikela block. On Wednesday, September 29th, nearly 300 community health workers from 174 villages in the rural Seraikela block of Jharkhand, India came together for an interesting event that involved plenty of art supplies, a flurry of creative ideas, a tangible passion for and dedication to improving rural maternal and newborn health, and a little bit of healthy competition. 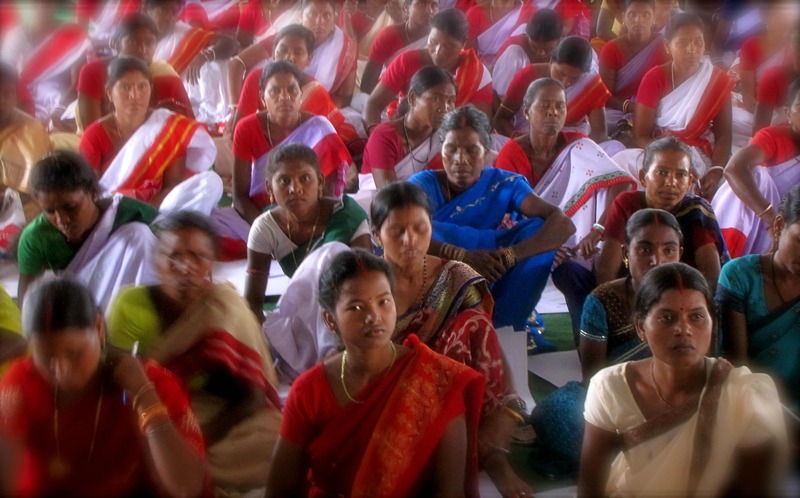 The gathering, part of the Maternal and Newborn Survival Initiative (MANSI), was an effort to develop effective behavior change communication tools for four maternal health interventions being implemented through MANSI– by tapping into the vast knowledge, experiences, and creative capacity of the newly identified community health workers. 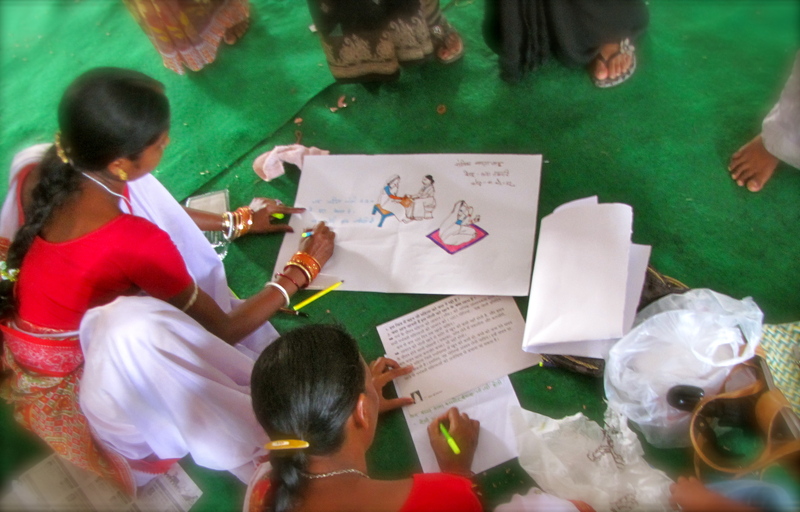 Holding the belief that there is no better source of ideas for effective slogans and images than the community itself, MANSI staff coordinated a contest that called on community health workers to develop slogans and images to explain the importance of the MANSI health interventions. The thinking behind the contest was that if the artistic representations of the health interventions and the key messages come from within the communities, then the images and messages will be more likely to resonate with the community members—and ultimately the health practices will be more likely to be widely understood and adopted. 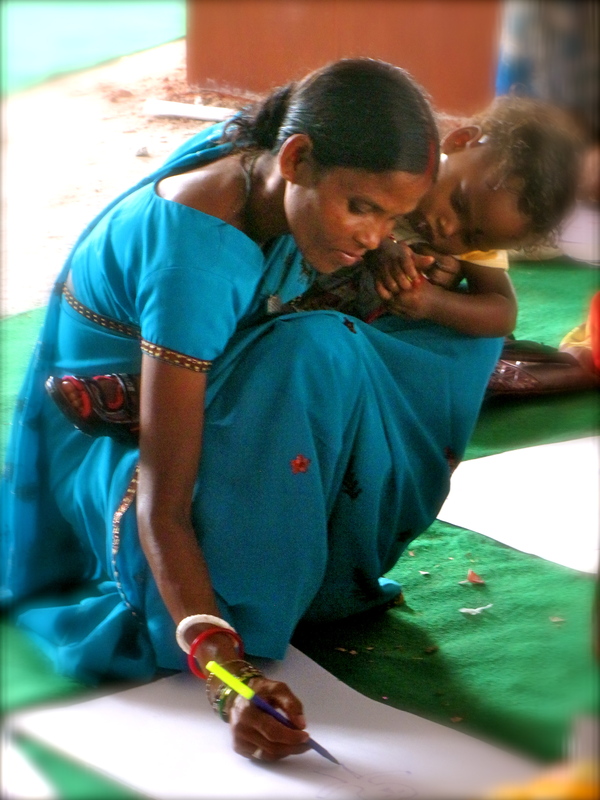 Before the contest began, the MANSI team provided an overview of the four maternal health interventions that the health workers would be developing images and slogans for: Misoprostol for post-partum hemorrhage, intermittent preventive treatment for Malaria, Vitamin A supplementation, and deworming. (In-depth training on these interventions will take place in the coming months.) Craft supplies were distributed and the nearly 300 health workers spent one hour competing to develop the most creative, compelling, and scientifically accurate slogans and images to be used as behavior change communication tools throughout the MANSI project. A panel of judges made up of doctors, public health professionals, and government officials recently selected three winning submissions for each health intervention. The winners received prizes and their slogans and images are being incorporated into the final behavior change communication strategy for the MANSI project. Check back soon for a short video about the the winning submissions! 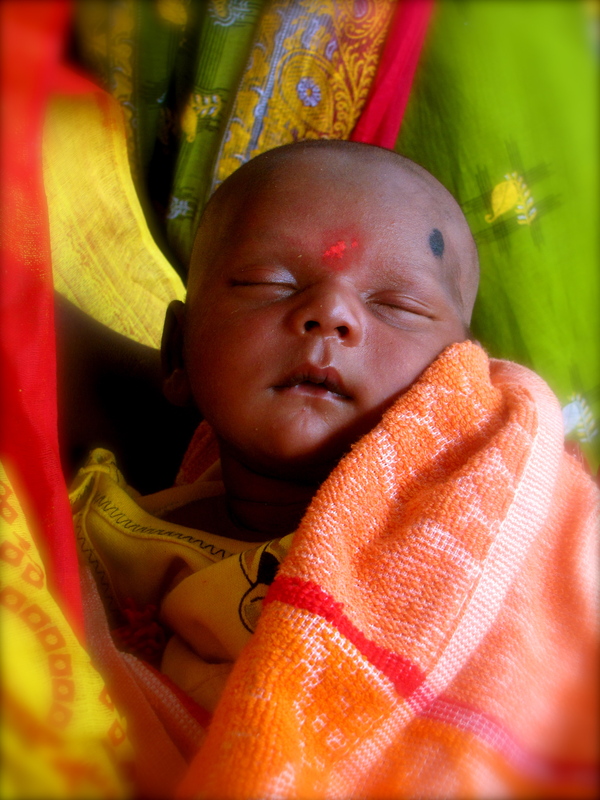 To learn about another initiative that is tapping into creative energy to improve maternal health, visit MDGfive.com. MDGfive.com is a global project that is uniting artists around the world to use their collective artistic abilities to develop multimedia maternal health advocacy pieces.